On an ordinary evening after work, Jenny Leung Kit-wah sits in a small classroom, showing handmade soap bars and coffee beans to a group of students attending a workshop. But these are no ordinary goods — they are made by people from East Timor, a country in the Indonesian archipelago which finally won independence in 2002. Leung has spent six years working part-time for the Hummingfish Foundation, the voluntary organisation behind the workshop which strives to conserve the world’s natural resources by developing a green economy. Now 46, she is the marketing director of a local tour agency, Jetour Travel. Before that, she worked in the advertising industry for more than 10 years. A successful businesswoman in the eyes of many, her life story may seem unusual. Several brief and random encounters led her down different paths. One of the encounters was with the late veteran photojournalist and eco-tourism pioneer Daniel Groshong who inspired Leung to do voluntary service and became an important mentor of hers. During the photography workshop where they met, Groshong showed some stunning pictures he took in East Timor when covering the independence movement there. He also introduced the work of the Hummingfish Foundation which he founded. “At first, I thought [the workshop] was a scam after the first few slides were shown,” Leung recalls. “I came to the workshop to learn photography skills, but he was talking about ecotourism which has nothing to do with that.” But later she was deeply moved by Groshong’s passion and vision in helping the people of East Timor. Born and raised in Hong Kong, Leung had always thought environmental protection and conservation could not coexist with economic development. “There’s always a trade-off, you have to give up one thing in exchange for the other,” she says. It was what she was taught in school and she never questioned it – until she met Groshong. She found his idea of a green economy so innovative that she decided to become a volunteer at the Hummingfish Foundation. Four thousand kilometres away from Hong Kong, East Timor was once occupied by Indonesia, leading to a violent and decades-long military conflict. Sixteen years after independence, East Timor’s economic development is still slow and relies heavily on exports of coffee, marble and petroleum. 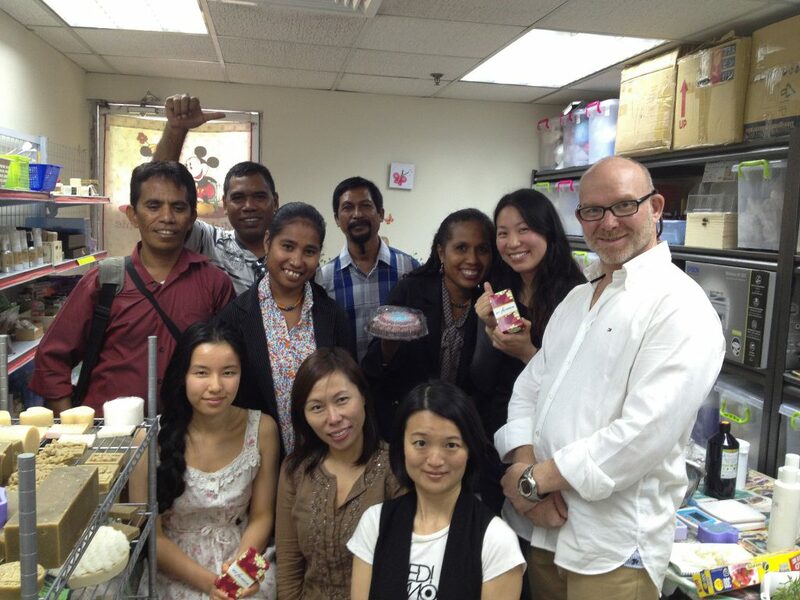 One of Leung’s East Timor projects was to promote female empowerment in the local community by helping women establish a natural handmade soap brand, Ai-Funan. This soap was displayed in the Shanghai World Expo in 2010 and has become a signature brand of East Timor. She also helped local young people to develop the coffee bean business. After working in advertising and marketing for a couple of years, there was a turning point in her life. Her husband (then boyfriend)’s job required a move to Mexico and, at first, things did not go well as she expected. “I used to be in the debating team back in school and with my experience in the advertising industry, I consider myself quite eloquent,” Leung says. However, language became a major obstacle as she could not speak a word in Spanish. “The lesson I learnt in those days is that something you own, or are good at, can easily disappear,” she says. Fortunately, she was able to make new friends in gatherings organised by her husband’s company. 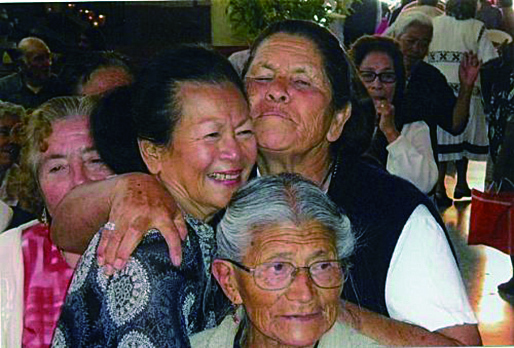 Many of them were wives who accompanied their husbands to Mexico for work, just as Leung did. She later became a volunteer at the Newcomers’ Club, an organisation which helped expats in Mexico blend in with the local community. Her job was to organise local tours for expats around three to four times a month in order to introduce them to the local culture. The tours included different Mexican customs and holidays, such as Día de Muertos (the Day of the Dead). There, Leung met Ora Anekanada (Granny Ora), an American living in Mexico, who introduced Leung to voluntary work in the country. On Anekanada’s 60th birthday, instead of celebrating with her family, she decided to cook a meal for 60 homeless and old people in a church. Leung describes her two-year stay in Mexico as the “happiest days” in her life, ones which changed her lifestyle and mindset completely. Back in Hong Kong, her hectic life working in the advertising industry had left her with little room to consider other possibilities in life. “Whenever I was free at weekends, I would only stay at home and rest,” she says. Living in Mexico brought her an entirely new perspective on life. 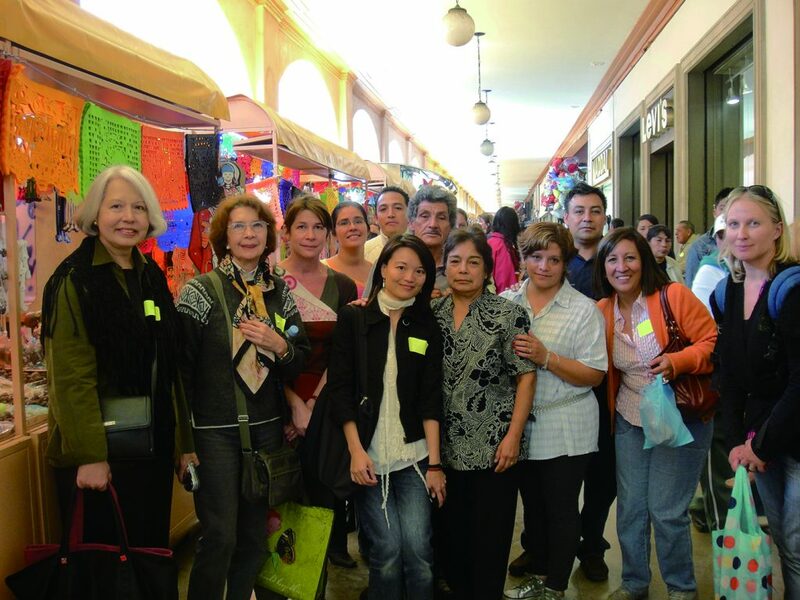 Shortly after returning to Hong Kong, in 2012, Leung started to organise local tours for foreign visitors using her experience in Mexico. “I realised how things had changed so much while I was away and it was shocking to me,” she says. She was surprised to see small boutiques and stores replaced by jewellery shops and pharmacies. It prompted her to hold tours in old districts like Kowloon City, Shek Kip Mei and Sheung Wan, with the aim of preserving local culture. Although balancing a full-time job and voluntary service can be hectic at times, Leung never considers giving up her voluntary work at the Hummingfish Foundation as it has become an essential part of her life. “I have this struggle on and off, whether I should quit my job and work full-time in the Hummingfish Foundation, but never the other way round,” she says. Sadly, the founder of the Hummingfish Foundation Groshong died last year in a car accident in East Timor. 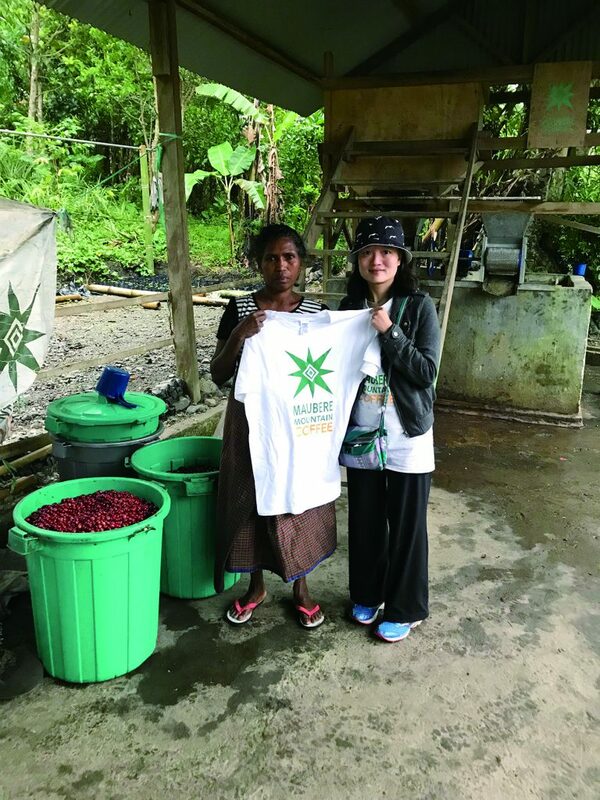 Together with fellow volunteers, Leung now hopes to continue with Groshong’s initiatives by further developing the soap and coffee bean projects in East Timor and promoting eco-tourism there. As she embraces a new chapter in life with a new vision, she is looking forward to helping other developing countries to boost the local economy while also respecting and treasuring the natural environment.